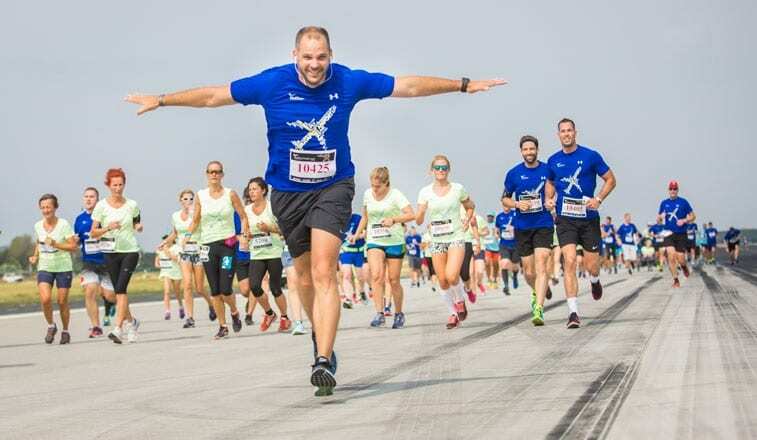 Budapest Airport once again inviting people from airlines, airports or enterprises across the aviation community to take part in the annual air transport industry’s premier 10km charity-sportive event – “The Race to Find the Fastest Airline in the World”. Budapest Airport and anna.aero have confirmed the seventh “Race to Find the Fastest Airline in the World” will take place at 11:00 on Saturday 31 August 2019 on Budapest Airport’s Runway 13R-31L. Raising a record-breaking €57,600 for charity last year alone, the run, which was held again in aid of the bone marrow transplant charity, Anthony Nolan, and Hungary’s Suhanj! Foundation, a charity which supports the inclusion of disabled people in sport, has reached an overall staggering €190,000 over the last six years.